Rift Rush is currently available in an ongoing development state. Its Kickstarter was successfully 423% funded as of April 2013, and is using Desura for its monthly update process. Why is Rift Rush so expensive? While in beta, you're essentially purchasing the $25 Kickstarter reward. It'd be very rude to offer that reward for less right away. TL;DR VERSION: Rift Rush is a first person platformer with soon-to-come multiplayer race support developed exclusively for use with the Oculus Rift. It comes in three flavors. Endless Rush: Most of the gameplay in our video is from this mode. In Endless Rush, you grow more powerful as the game grows more difficult. See how far you can go! "Story" Mode: A set of structured levels with a story! Multirush: Multirush is a multiplayer mode where you and your friends (or enemies!) race through a level to be the first to the finish line. Try not to get too violent when your friend smashes you off-course mid-jump to the finish. 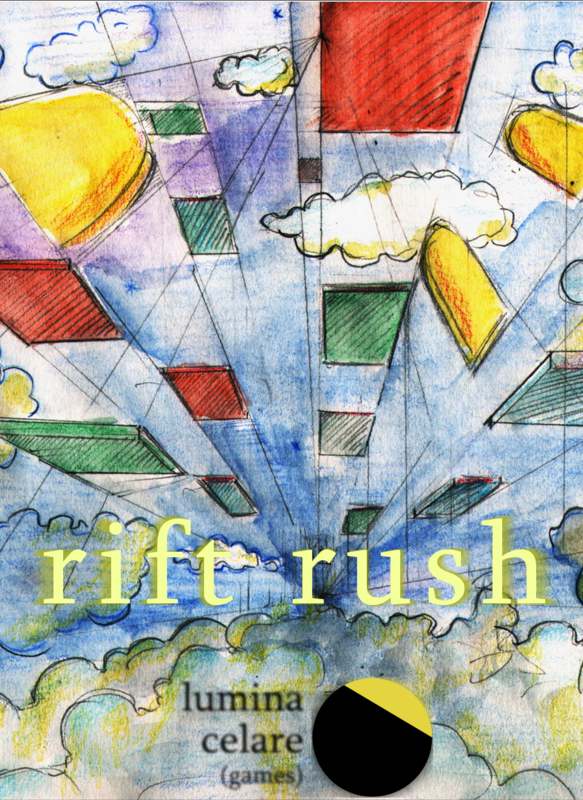 Rift Rush now available on Desura! Fantastic news! We're live (or will be, in a few hours). Many thanks to Desura for hosting our Early Access program! Veterans, we're currently on the April 26th build. The Multirush update will be coming at the end of May! Stay tuned. If you're a $25+ Kickstarter backer and haven't gotten your key, drop us a line at tastive@gmail.com and we'll get you set up. Looks nice but ain't worth the $16 for me. Will it be less expensive when fully released?